WOW!! 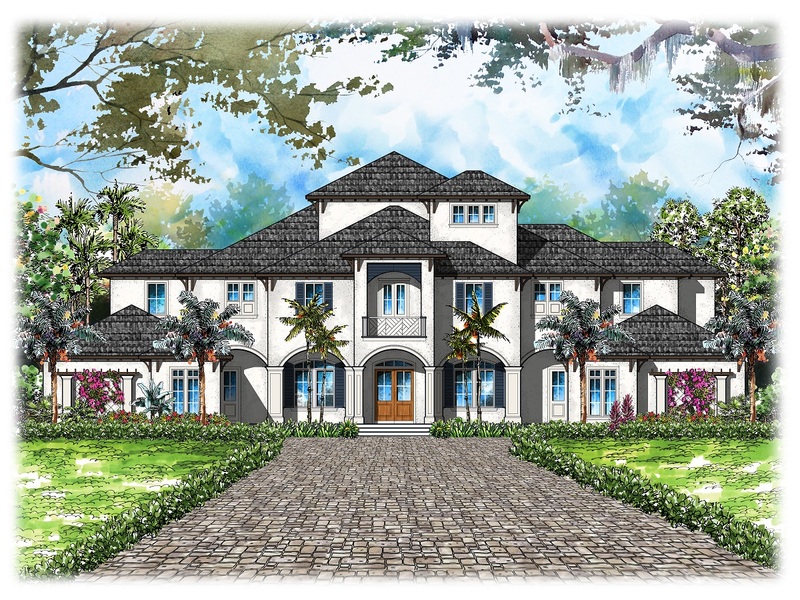 This estate home is a gorgeous British West Indies style that takes advantage of the wide lake views. The home has 8,090 sq. ft. of AC square footage and 12,956 total square footage! This home has two three car garages and a beautiful outdoor lanai area that is perfect for a large party. The interior is spectacular! The third floor Eagles Nest will have a wide lake view. Two separate stair cases lead to the second floor. One staircase is private and just for the master suite. The two sided master fireplace gives ambiance to both the master bedroom and just above the master tub. The large first floor great room has soaring 23′ ceilings and a second floor overlook from the hall. Although this home is magazine quality in its design and finishes, it is also a perfect family home.